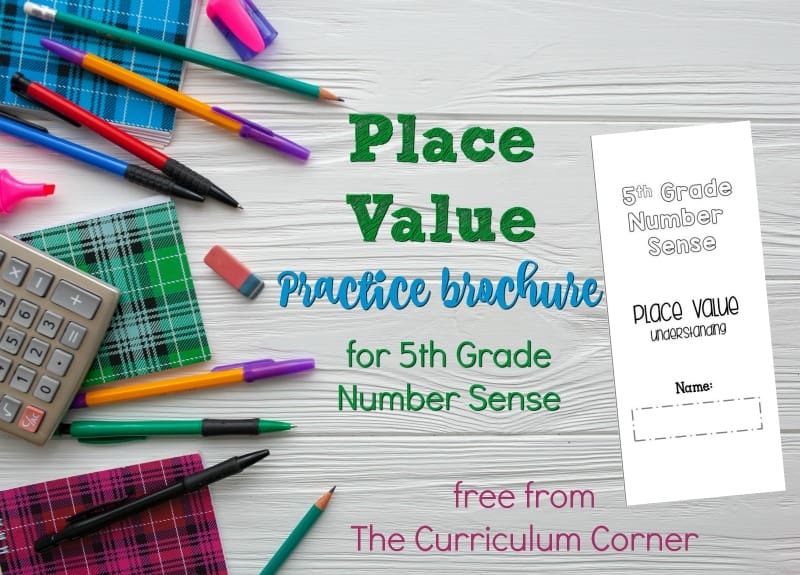 This brochure provides ready to go practice for fifth grade place value – it addresses fifth grade concepts. This is another free resource for your classroom that has been created by The Curriculum Corner. You can download this free resource by clicking on the bold link at the bottom of this post. This brochure is designed to give your students additional practice with number sense skills. It might be used as a recheck or even as a review task before a test. To prepare your brochures, print the PDF provided at the bottom of this post. Then, copy front to back and fold! If available, print on bright, colored paper for a bit more flare. Our goal in creating these brochures was to provide skill practice in a format that will be a little change from the standard worksheet. Compare two numbers using >, =, and < symbols. Use place value understanding to round numbers to any given place value. The math brochure was created has been designed to touch upon each of the standards. Sixth grade teachers might also find this resource helpful to use as a quick check in as you head back to school. As always, the free resources we provide are intended for FREE classroom use. You may copy them for your personal use. You may NOT sell on any other site. I really like your math brochures but am wondering if it’s possible to get a version without the grade level written on the front? I would like to give them to students who need extra practice in specific areas but don’t want them to feel self conscious about doing work at a grade lower than the one they are in. Hi Kelly! Sorry, we don’t currently have that available. Might we suggest covering up the grade level before making copies? Would that work for your purposes? Next time we create similar resources we will try to remember to provide a page without the grade levels listed. Thanks!